In my family, it’s pretty much a given that when Mom frets, Dad says “fear not”. Over the years, this expression has morphed from biblical injunction to dreaded jinx. 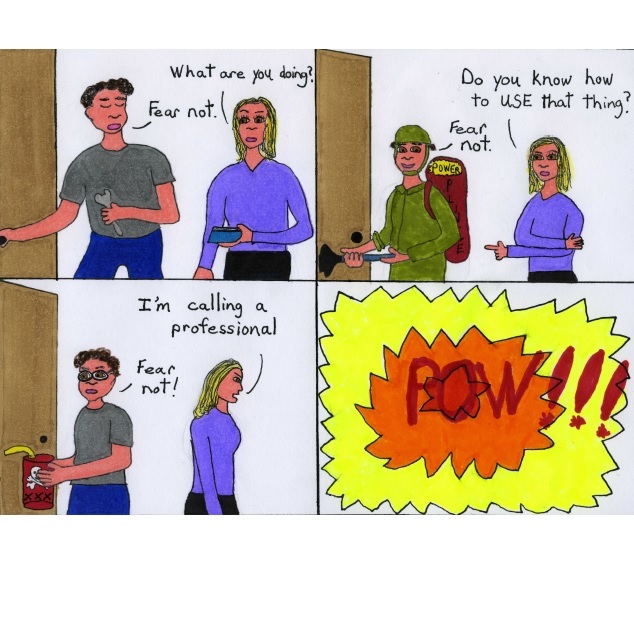 This entry was posted in comic strips, Digs Burton and tagged bathroom, comic strip, explosion, fear, fear not, home repairs, judge not, plunger, smoke, toilet. Bookmark the permalink.